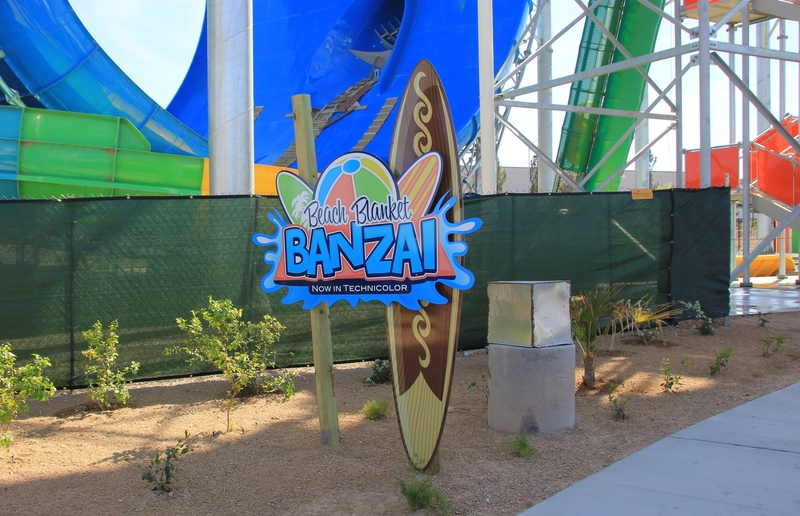 “Another thrill family slide new for 2015 is Beach Blanket Banzai. Four brave riders board a raft, which is carried to the height of 60′ by a conveyor. 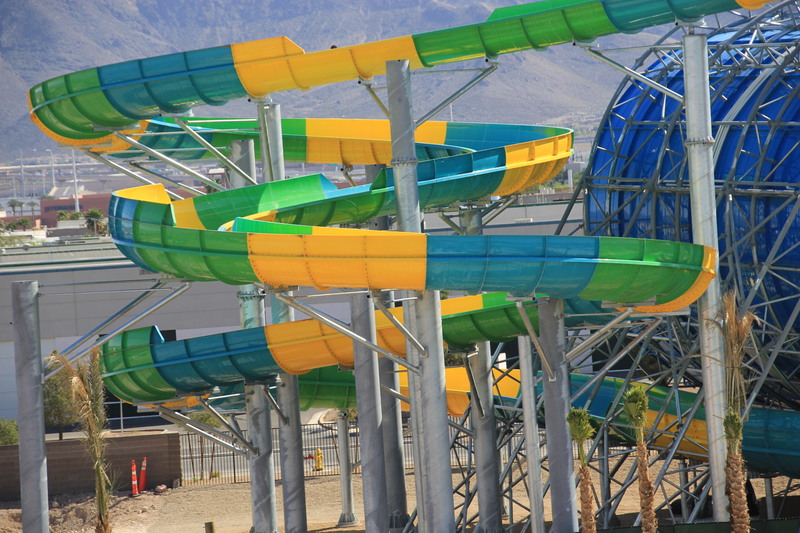 From there they race over 600 feet of 180 degree turns, side-winding s-curves, dips and drops at thrilling speeds.” – Cowabunga Bay Las Vegas. 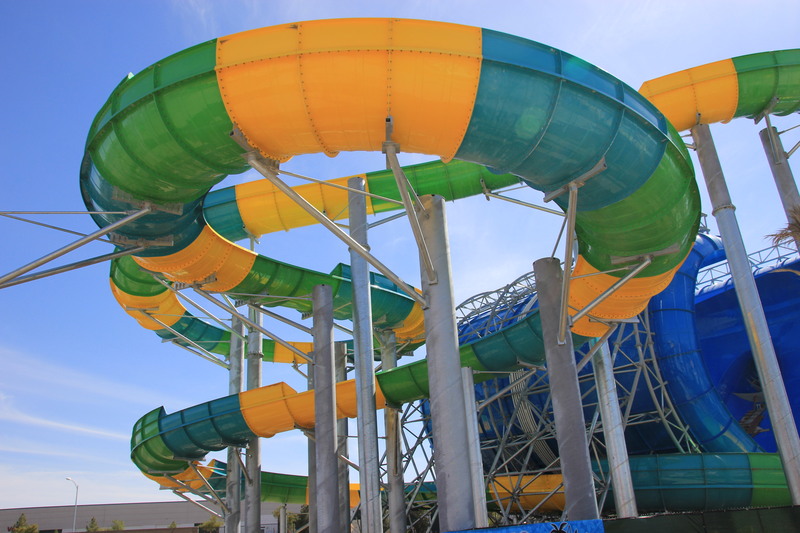 Another family raft ride titled “Wild Surf” is scheduled to open this upcoming Memorial Day. 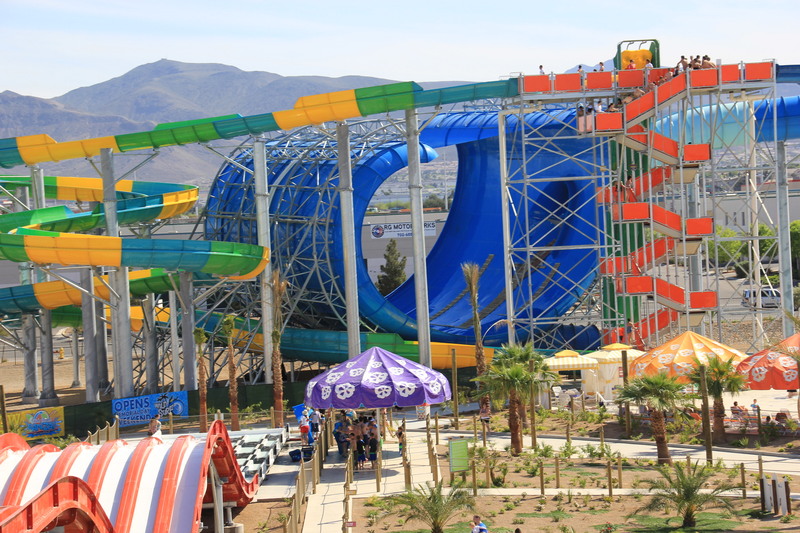 That massive blue wedge-like slide to the ride of Beach Blanket Banzai is Wild Surf. It’s scheduled to open on Memorial Day weekend.